A while back, I went to Bodo and the Lofoten islands within the Arctic Circle. 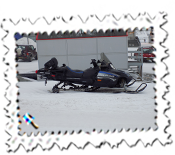 I found it a wonderful area but always wanted to go higher - yes, okay, as a badge of honour to say that I have been as close to the North Pole as it is possible to go without actually, well, going to the North Pole. This year's trip, therefore, took me to Svalbard, somewhere between 1309 and 1338 kilometres ( 813 and 831 miles) from the North Pole depending upon which sign you believe. For once, I didn't bust a gut to dash up to Heathrow after work and take a flight to Oslo preferring to go the following morning on a British Airways flight around lunchtime. 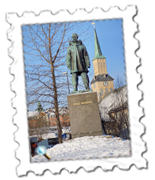 It was nice: no rush, no early start, an easy journey to Terminal 5, short flight and a stay at the Radisson Blu Gardermoen hotel just two minutes walk from the Oslo Airport. I was in my room having also checked in on arrival for the considerably longer flight up to Svalbard's airport, Longyearbyen. 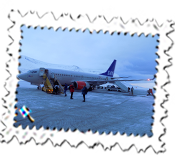 The flight to Longyearbyen had an en route stop at Tromso and the fairly peculiar arrangement of leaving from Oslo's Domestic Terminal yet going through immigration at Tromso. If nothing else, it gave a chance to stretch my legs before the second half of the journey. 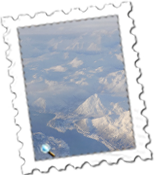 The scenery during the entire flight was spectacular and it was memorable landing on the glacial wilderness of Svalbard. A former mine overlooks the airport. 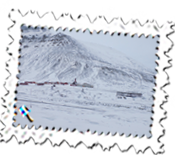 Svalbard's main and really only habitation is Longyearbyen, just three miles or so from the airport. I wouldn't describe it as a visually attractive place but certainly the scenery around is dramatic. All the hotels are within a short distance of each other and I stayed in another Radisson, the Radisson Blu Polar Hotel. It is simpler than other Radisson hotels but the staff are friendly, the breakfast decent although my room - with a terrific view - wasn't especially well lit. 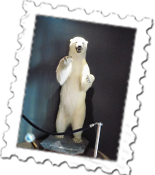 The sauna was welcome and a resident polar bear ( which died of disease) adorns the reception area. The Barents Pub adjoining the reception is a popular spot and the food excellent at reasonable prices. Norway is known for its generally high prices for eating and drinking but Svalbard does not attract such high prices. Polar bears are a frequently-mentioned and curious subject. I made two trips and the guides, both in their different ways excellent, nonetheless enjoyed telling tales of polar bear conquests at getting a more substantial meal than fish. The first time it was mentioned, in the comfort of a minibus, didn't matter but the second, up on a plateau overlooking Longyearbyen 450 metres below after an evening hike through snow, might have been considered bad taste. Not to the polar bear, mind you... Seriously, though, bears are about and, although not apparently regular, the danger is there. The guide on the plateau mentioned that the bear on the same plateau had eaten one female traveller there after apparently loitering around the house of the Governor, no less. They move quickly too and, well, whilst not nervous, I was glad that I wasn't confronted by one as the walk up the hill/mountain that evening wasn't difficult but could I get a grip? The guide charitably blamed fresh snow and, for sure, it wasn't easy but I made it up with the footholds the only problem. And, yes, I was the oldest there. Typically, when I tried to fall on the way down, it didn't happen. A dog accompanied the guide and loved its walk but enjoyed zig-zagging and then resting against my legs. Generally, I felt, trying to make me look even more uncoordinated than usual by trying to trip me up. On a less strenuous tour in the minibus, we saw a few of Svalbard's seven mines, some reindeer peculiar to Svalbard and our guide, a Captain Bird's Eye figure with hair only on his face but not head amused us with his somewhat trenchant views on, well, most subjects. 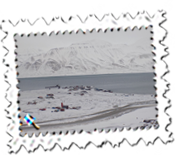 I'm not sure how he views Svalbard's one policeman as there is no crime on the island so, in going past his office, he said disdainfully " seat belts on, please." Okay, I also went to see the Northern Lights or Aurora Borealis. Five days in the Arctic and I saw two minutes of this strange, predominantly green phenomenon streaking across the skies. I saw nothing on Svalbard and was somewhat surprised and disappointed but the main prerequisites for any chance are darkness ( fine in the early part of the year: Longyearbyen had just recently moved from an almost completely dark spell to a few hours of daylight), lack of clouds and solar activity, which I am not an expert on. 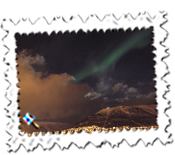 City lights hamper sightings but, as it happened, this was where, in Tromso, I saw it fleetingly. After two days on Svalbard, I moved to Tromso for three nights in, yes, another Radisson Blu hotel. 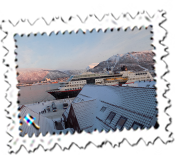 It was excellent and I was very fortunate to be given a room with a magnificent view of the bridge and Arctic Cathedral and, just outside, the Hurtigruten ferry when in port. Everything was excellent about the Radisson Blu Tromso. Yes, it would have been nice had I seen more auroral activity in the skies but they are elusive and any trip you take is also a risk. I booked to go to the Tromso Villmarkssenter in the hope of seeing the lights but no joy. Some trips to see and, as they say, chase the lights cost a significant amount of money (£80 to £100) and the one I took was 590 Kroner ( approximately £48). Money buys much but it doesn't always buy the Northern Lights. We were in the right area - Tromso is, I believe, one of the best places to see them - with dark skies, no cloud but, most importantly, no solar activity. 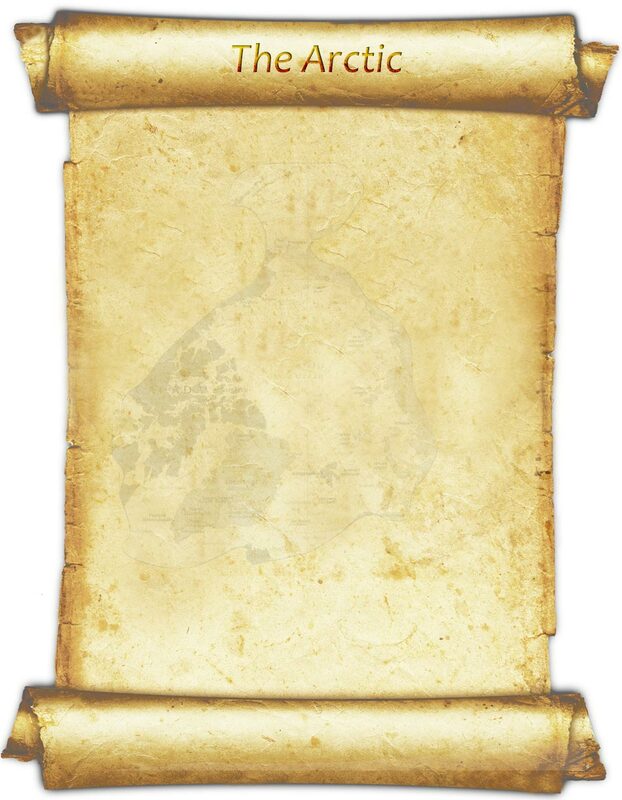 It was disappointing but nothing could be done. One aspect I was more in control of was a tour of Norway's cathedrals and, more specifically, organs. Odd really as I have no musical talent. Anyway, years ago when I was at a prep school near Barnstaple, we had a teacher there, David Patrick, who became a well-known organist and played several times whilst living in Norway. 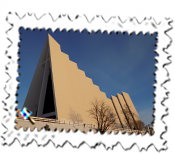 Of course, my visits to the more recent Arctic Cathedral and the Domkirke in the city centre were made much more enjoyable for knowing that David had performed at concerts at one or maybe both. I found Tromso a delightful place. Walking over the bridge afforded wonderful views and, like everywhere in Norway over four visits, I found the people most friendly. What wonderful English they speak also. I feel ashamed at times but hey ho. It was noticeably colder in Tromso and the packed ice on the pavement caused problems until I wore my £5 Amazon spikes: cheap they may have been and ultimately they gave up but for the five days which I used them, they were much better than I had expected. My £1.50p tiger hat bought in Nepal was also invaluable. Wideroe operate a flight between Tromso and Bergen, my last port of call, with a propeller aircraft. I usually prefer something slightly more solid but have always found such planes far more comfortable than they perhaps look. This one didn't get above the clouds thereby giving some fantastic views of the dramatic scenery down the coast. 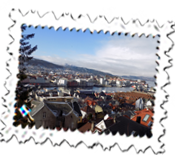 Bergen is Norway's second-largest city and I duly stayed at another Radisson Blu, the Norge, which was most conveniently situated and my ninth floor room had very special views. It is a slightly older hotel which I tend to enjoy and, in addition to the usual excellent breakfast, there is a sauna and swimming pool both of which I made use of. I complimented a Norwegian chap on his country folk's excellent English - anyone in hotels, restaurants and shops seems to speak it so well - but I had to chuckle at a sign in the hotel lift which rather let the side down. As the hotel was very busy that weekend, the sign recommended that guests take breakfast before 9 am " if you are capable of this." I most certainly was and enjoyed the terrific spread. 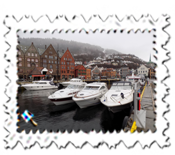 It is a fairly interesting city and I enjoyed walking around the harbour and, when the weather improved, further up for lovely views. Naturally, I went to the Domkirke but it wasn't open eventually so that organ passed me by. I ate well there with, on one night, a fish stew with olives and potatoes: Bacalao and quite delicious. I had it in the Vaagen Pub near the Fish Market and both nights, once quiet the next busy, was most welcoming and ended a thoroughly interesting week. Bergen Airport wasn’t especially quick the next morning but the British Airways flight was good and, although engineering works near Reading made for a rather circuitous way back to Swindon, all went well and Norway, once again, has given me a host of memories.